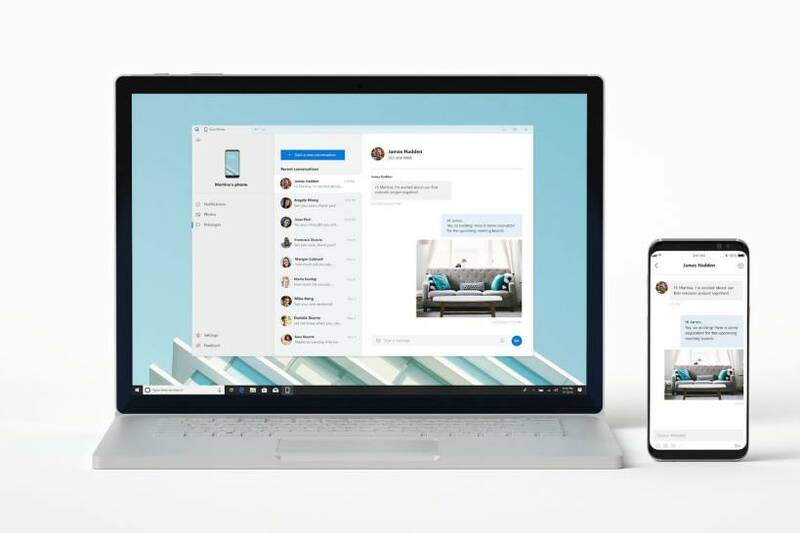 Today at its Build developer conference, Microsoft announced it’s new “Your Phone” app for Windows 10. The new “Your Phone” app can mirror your phone straight to a desktop PC. This will allow Windows 10 users to access there texts, photos, and notifications on pc. According to the company, you can mirror the entire Android phone interface to a Windows 10 PC so you never have to physically pick up your device while you’re working on a PC. Apple iPhone and other iOS devices are also supported. Microsoft will roll out it’s new Your Phone app to Windows Insiders with upcoming Windows 10 Redstone 5 build.